I'm not a huge floral fan, but I have been wanting to try rose nails, particularly in this color combo. I thought Valentine's Day would be a good excuse, especially since I have a date for once! I'm not totally pleased, but they look good enough. I really liked it! And I like that you have two colors on your background..! 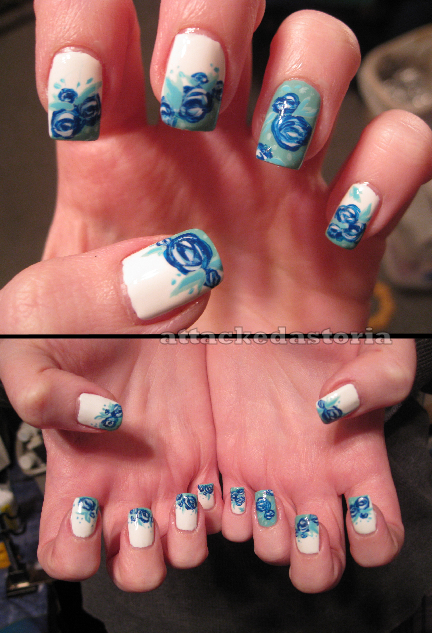 Oooo you did both hands :) They're gorgeous!